Rock-N-Jocks brings to you the Perfect Match for the highly anticipated Photo Blue Retro 9 Jordans that drop in less then two weeks. This Custom Chicago Bulls New Era Snapback is all black with an all photo blue bill. 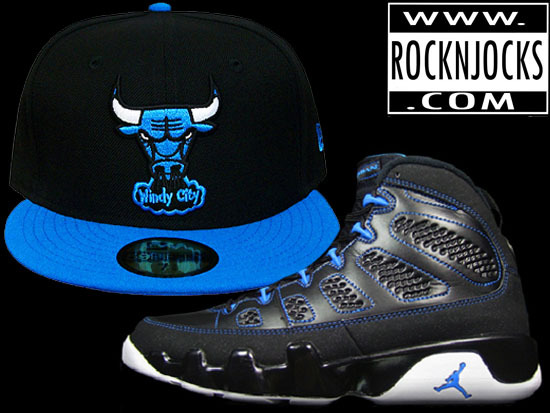 The embroidered bull logo on the front of the hat is in photo blue, black, and white. The back of the hat has the smaller embroidered bull logo on photo blue and black. ACT FAST! It is only limited to only 30 total pieces and once it is sold out it will not come back in stock. Only place in the world to get this is exclusively at www.rocknjocks.com. 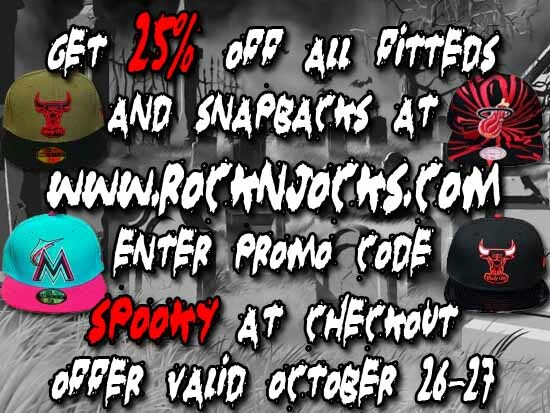 Rock-N-Jocks is having a crazy 25% off all snapback and fitteds 2 DAY SALE! Enter promo. code SPOOKY at checkout page. This short sale only lasts from October 26th-27th. Do not delay. Go now www.rocknjocks.com. Rock-N-Jocks brings to you the Perfect Match for the highly anticipated Photo Blue Retro 9 Jordans that drop in less then two weeks. This Custom Chicago Bulls New Era 59/50 fitted is all black with an all photo blue bill. 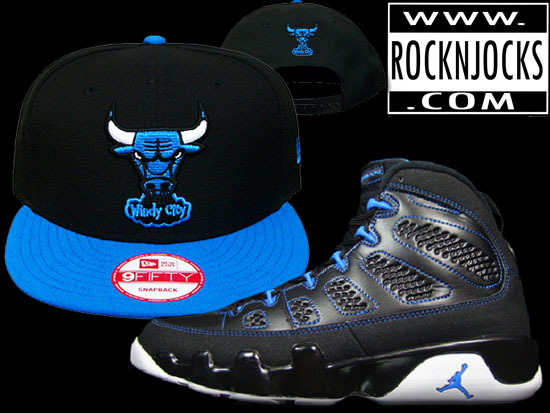 The embroidered bull logo on the front of the hat is in photo blue, black, and white. The back of the hat has the smaller embroidered bull logo on photo blue and black. It is limited to only 30 total pieces and once it is sold out it will not come back in stock. Only place in the world to get this is exclusively at www.rocknjocks.com. 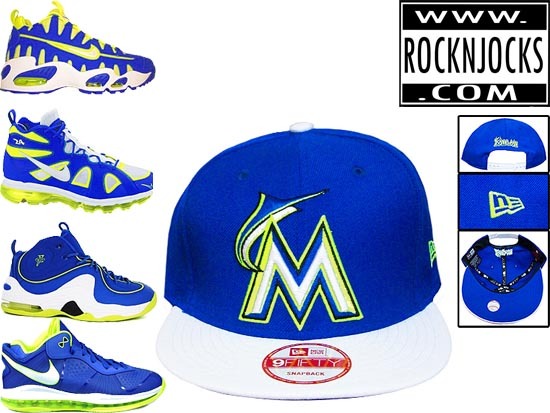 Rock-N-Jocks keeps bringing the perfect match for the hard to match nikes with this Custom Miami Marlins New Era snapback. This is a perfect match for numerous pairs of Nike Volt/Blue kicks. Only 30 total pieces. Once sold out it will not come back in stock. GO Rock yours exclusively at www.rocknjocks.com. Villa is giving one lucky winner an exclusive experience of a lifetime. Want to sit back stage at the hottest concert of the year? See your favorite artist up close? Villa is giving you the ultimate fan experience. One lucky winner will be the exclusive Villa Power House Social Media Reporter. You will be tasked with the job of tweeting and posting the play by play at this year’s Power House via Instagram, Twitter, and Facebook. Dish all the gossip on every artist as they come on the stage. Enter below for your chance to win! Only villa can hook you up like this. Are you Villa? Villa Power House Social Media Reporter Contest – ENTER HERE! Over 135 styles of winter hats in stock Rock-N-Jocks has what you need for the cold winter. 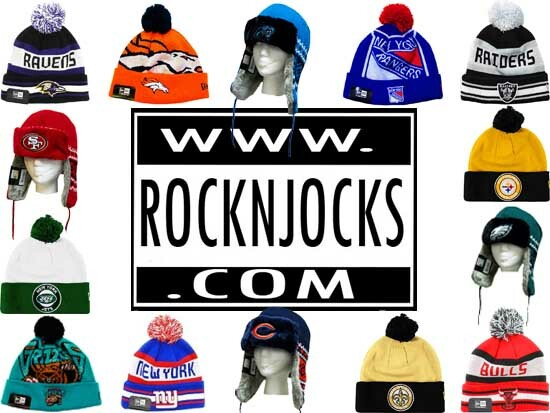 Go now check out all of the NFL, NBA, MLB, NHL sytles of winter hats at www.rocknjocks.com. 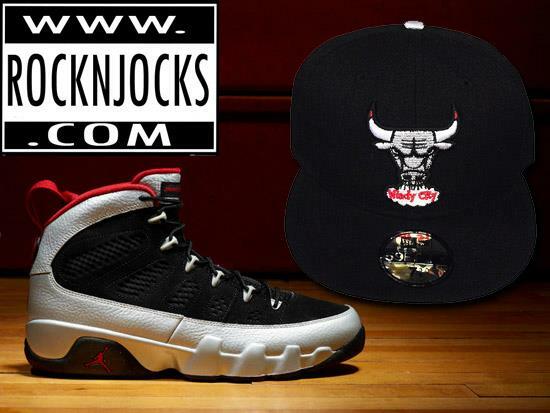 Rock-N-Jocks has the perfect match once again for the Retro 9 Kilroy Jordans. This Custom Chicago Bulls New Era 59/50 fitted is all black with the top of the bill in black and the bottom of the bill silver. The embroidered bull logo on the front of the hat face is in silver, with the horns in white and the top of the horns in red. The smoke is in white and red. The back of the hat has the embroidered bull logo but smaller in silver and black. It is limited to only 30 total pieces. Get yours while you can because it will not be coming back in stock. Exclusively available at www.rocknjocks.com. 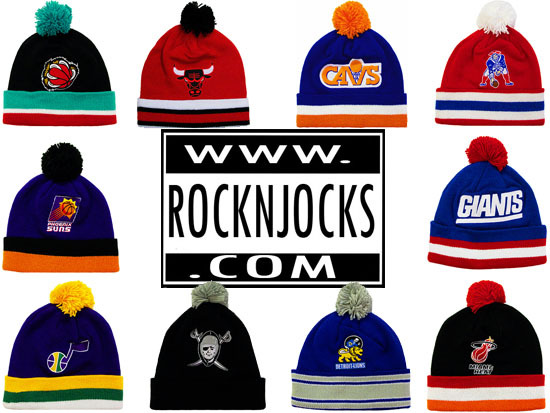 Rock-N-Jocks has got you covered for the cold weather that is on the way. Time to get ready for it with over 115 styles New Era winter hat styles. Go check out now at www.rocknjocks.com.